Fair trade baskets hand crafted by artisans from around the world. 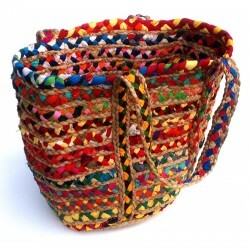 Materials range from high quality leather, hand woven textiles , jute, upcycled unwanted new materials. 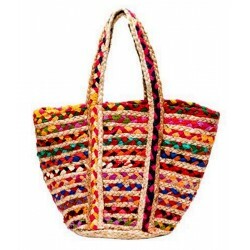 Handcrafted with colorful braided chindi fabrics and jute, this delightful ..